Plastic-made, makes it easy to clean, and durable for long time use. Designed with a weighted base, make it stand steadily in place. 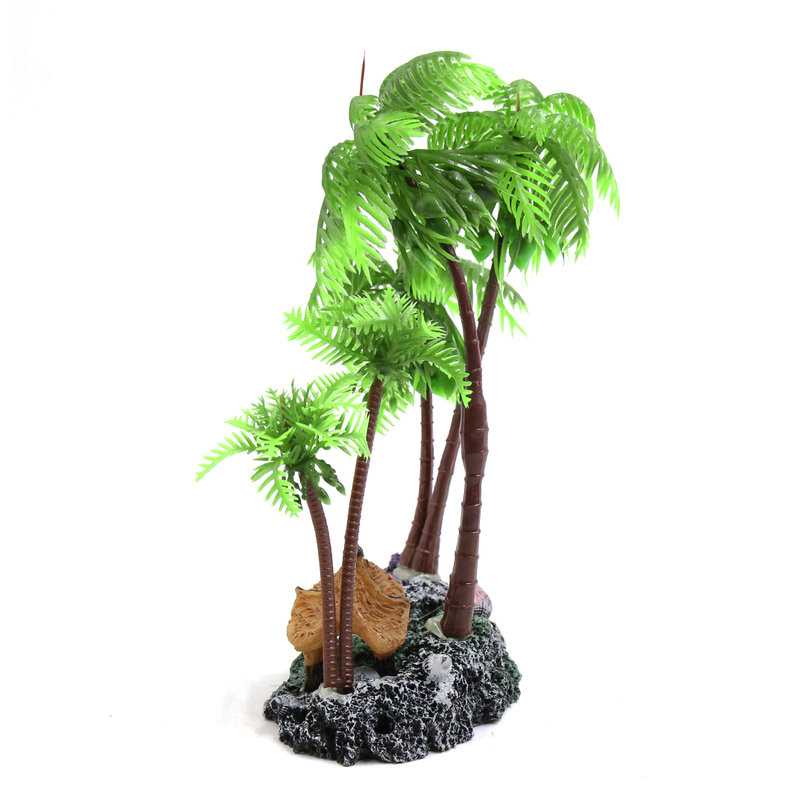 Appealing decoration for landscaping your terrarium or aquarium. Lifelike plant outlook can help relieving stress for your pets, simulate a vivid living environment for them. Creates natural hiding spots for reptiles and amphibians, add fun for their lives. Good for lizards, chameleons, tree frogs, geckos, tortoises, snakes and other reptiles. Use in those spots of the terrarium where real plants cannot thrive or survive. Suitable for used in aquarium, terrarium, reptile tanks or home decor. Please allow 1-3 cm error due to manually measure. Rinse the plastic plant and dry it before use.